A U S / U S A / travel, beach, explore, write. 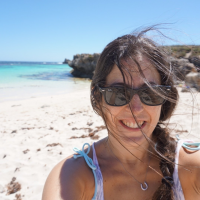 Sydney based expat travel blogger & freelance writer. Killen Falls- just a 20 minute drive from Byron Bay, this waterfall and swimming hole in the hinterland is practically perfect in every way; a refreshing oasis from the summer heat. #throwbackthursday to one of my favorite moments in #India - these vibrant drummers proudly welcomed us to #gobindgarhfort in #Amritsar.